Fiber is a hot topic. It is promoted as beneficial for your health, which it is. What people don't understand is that there are two kinds of fiber and they serve two different purposes in helping your digestive tract. The two types of fiber are soluble and insoluble. Soluble fiber is found in foods such as blueberries and nuts or beans and cucumbers. 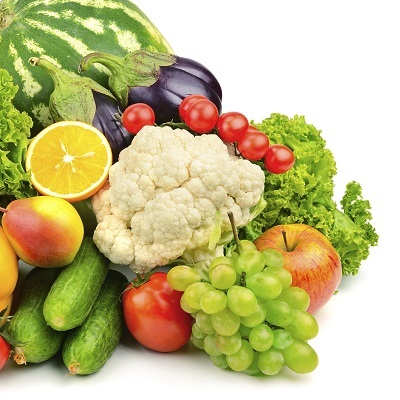 Insoluble fiber is found in dark, leafy vegetables, grains, green beans and nuts. Both act differently on your digestive system. Regardless of which fiber it also has a positive effect on your oral health. Soluble fiber, like that found in fruits and nuts, dissolves when you eat and it becomes a gel-like substance. This substance slows down your digestion and gives you that full feeling. That's one reason that fiber is recommended if you are trying to lose weight. The full feeling lasts quite a while and prevents you from feeling like you want to eat again. Insoluble fiber, like that from the leafy vegetables and grains, helps you move food through your digestive system by providing bulk. It helps push everything through. This helps you to eliminate waste more efficiently and in a healthier manner. What Does Fiber Do for My Teeth? Fiber is a substance that stimulates the production of saliva. As you may know, saliva is the body's natural method of cleaning your teeth. If you have low levels of saliva production plaque will remain on your teeth and will begin to cause tooth decay. Saliva is the way your body backs up your flossing and brushing regimen. When you eat snacks that are high in fiber it helps to keep your teeth clean between brushings. It can also help to lower blood sugar, the risk of stroke, and heart health. Eat some fiber and help your body do its job. Please contact our office if you have any questions about fibers effects on your oral health.